We have noted a new trend recently around the idea of taking the tracking capabilities of wearable tech like smart watches and fitness bands and instead applying it to other forms of wearable technology, much of which is a lot more discrete than a brightly coloured rubber band. In the old days of pedometers, you never had to worry about showcasing the fact you were tracking your steps, right? 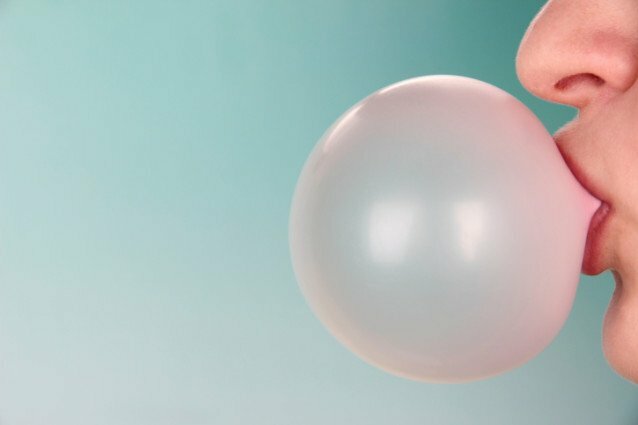 It now seems like the next step is to take this technology and apply it to an even more discrete and hidden form of smart tech – smart-chewing gum. So we have had the smart-tatt and the smart socks, and now we have gum. What the Chaotic Monkey smart tattoo and the Sensoria smart socks share is a commonality of the data that they can collect. In much the same way, this chewing gum consisting of nanotubes will collect the same types of data. It basically becomes a flexible body sensor hidden entirely in the mouth. The smarter element to this smart-tech lies in the fact that much like real chewing gum, it can bend and be generally mis-shaped. More traditional smart-sensors are unable to do this, and if bent they would break and stop working. This tech step forward not only means it works when bent, but can actually measure the degrees of flex. So this opens up the potential to measure the angle of joints, such as knees, hips and elbows – which could radically change the way we coach athletes and children in sports like Tennis and football. Further use cases include breath analysis. According to the American Chemical Society, this technology could analyse the amount of water vapour in an exhalation, opening up more applications across sport as well as wider heath, with conditions such as asthma.